“This affiliation amounts to an endorsement of his services to assist broker/dealers in their buy, sell, and merge agendas”. …..and about 24 hours later the Champion apparently received calls and e-mails from firms who actually did due diligence that the Champion neglected or was too lazy to do and told members NOT to use this vendor’s services because he was getting calls and retracted the endorsement. At least he didn’t ask for $100.00 in the retraction as well. Perhaps instead of just attacking the SIPA and its founder this Champion should actually work with other trade groups and attempt to find real solutions to real problems. We have been critical of their antics in the past but now that we know their true motivation we will cut them a break and from now on refer to them as “T-Bone”. It’s a cool nickname and probably more effectively reflects their purpose. 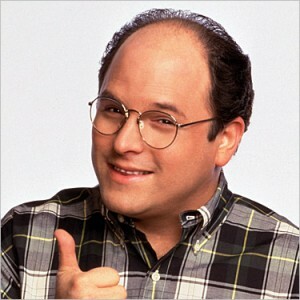 The next time you receive a Champion e-mail blast just think of George “T-bone” Costanza and have pity. For those of you who have never seen the short skit here it is off of you tube. Enjoy! Click here to watch T-Bone!